Complete with its state-of-the-art production infrastructure, Sany Heavy Industry plant in Pune is braced up for projected off take of equipments from Indian construction sector as indications of demand revival begins to show - P.P.Basistha took a stock of the manufacturing facility in Pune during his recent visit. Located on a picturesque eighty acres of land at Khed industrial zone in Pune, Sany India's plant boasts of its state-of-the-art production infrastructure that has been quite instrumental for expanding the company's business in India across its product verticals notably, cranes and excavators. With investments made close to Rs. 600crores till now for setting up and further upgradation of the production facilities, over 30% space of the plant has been utilized by the Global equipment conglomerate for assembling the completely knocked down units for the Indian market imported from its global sourcing bases. However, with the demand scaling up, and requiring to make available cost competitive products, the plant is now likely to be utilized for full scale manufacturing. The foremost initiative to localize would be Crawler Excavators, Truck Cranes and crawler cranes at the plant. With demand of Hydraulic Excvators and lighter capacity cranes picking up, Pune plant will be utilized by Sany India for further expanding its range of Hydraulic Excavators, localizing its Hydraulic Excavators, Truck Cranes of 25T to 40T capacity & crawler lattice boom cranes of 75-100-150 tons capacity for the Indian market. It also has plans to assemble 250 tons crawler units for the Indian infrastructure sector in near future. The partial indigenization were planned and carried out in a limited way by Sany some time back. However, plans to proceed with higher levels of localization were deferred owing to the contraction in demand for cranes. These plans are now being revived. Under the plan, fabrication, sourcing of basic structure, engines and some hydraulic parts and ropes will be sourced in India. "We will carryout engineering modifications in our crawler cranes at the plant, so as to make them attuned to Indian requirements. The improvisation will be supported by our dedicated research and development centre in Pune dovetailed by inputs from our global R&D centers in Germany, US and China," says Mr. Deepak Garg, CEO, Sany India. He adds, "Engineering improvisations in truck cranes are also likely to take place, through procurement of chassis, and bodies from local sources making the cranes attuned to Indian conditions." The facility has three production shops. In sequential order, the production shops are numbered 6-7-8. Shop number 6 is dedicated to manufacturing cranes. The space is presently being utilized for testing of foundation equipments manufactured by Sany. However, with demand of cranes beginning to show up that may enable Sany India to have a critical mass for its mobile and crawler cranes, the shop will begin full scale manufacturing of the cranes. Modifications in the load chart of the cranes, so as to deliver required lifting capacities at needed radius will be made both for the basic, auxiliary boom and the luffing arrangements. Customization will also be made in the safety features based on the emerging requirements of the Indian power projects and upcoming modern refinery projects." A major order of 15 units of crawler cranes has been bagged by Sany from Reliance for its second phase of expansion of Jammnagar refinery. The company is in the process of supplying and commissioning 180 tons crawler cranes for the mega industrial project. The Global equipment conglomerate has a population of 450-500 units of cranes working in India wherein 50-60%is crawler cranes. With only 30% of the plant space utilized, there remains larger scope for the Global equipment manufacturing entity to scale up production at the facility, in line with its business strategy to be a total solutions provider for Indian construction sector. Mr. Garg says, "With India being a key market for diverse solutions, possibility is quite rife that we may also utilize the facility for production of mining trucks, reach stackers, most importantly excavators of varied capacities." Complete with robotic welding, EOT cranes and rail mounted assembly systems, stocking space for parts, all in same shop, characterizing lean manufacturing; the facility's shop number 7 is housed for assembly of excavators. With ample space for parking bay for the equipment, the facility is also being utilized for testing the excavators. With 50% of the market space occupied by 20 tons capacity excavators, Sany has started localizing excavators of similar range in the facility for the Indian market. According to Mr. Garg, "as a first hand initiative towards localizing our excavators in India, by making them more attuned to Indian working conditions, we are fitting the units with India built Cummins engines. 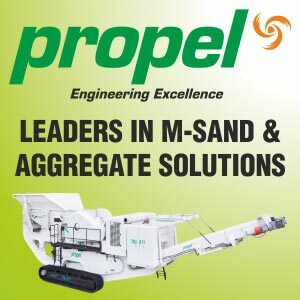 Going forward, we may consider procuring cabins and structures from Indian sources" He claims, "Our excavators are 5 percent more fuel efficient and 10% more work efficient than contemporary products." The company has a population of over 750 excavators working in India, mostly in 20 tons segment. Sany's Key focus would be in offering a differentiated pace of service and spare parts support which is SANY's promise to its customer's globally. Plans for increased localization at the plant and further sales, service and parts backup will be supported by Sany's market network in India through its five Regional offices at Mumbai, Kolkata, Delhi, Chennai and Hyderabad and branch offices in the states. SANY's promise towards support to the customers as targeted by the company will be promoted by its dedicated strength of twenty one dealers for excavators, which the company proposed to take up to twenty-five by the end of 2014.This would mean over 150 touch-points by the end of 2014.